Design features our RealCAMO "Forest Fall" camouflage with a fine Green outline. A Yellow Gold outline as shown in the picture finishes off the custom design. 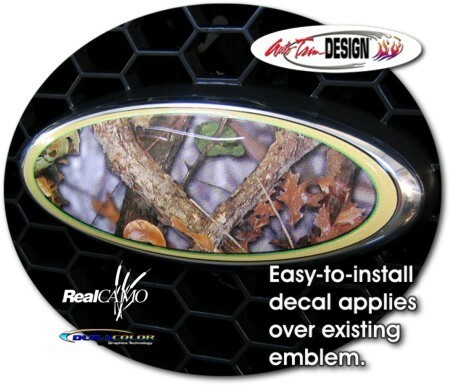 Get ready for hunting and make your truck REALLY stand Out - or Not!